In order to conserve biodiversity of coral reefs, it is necessary to enlist the cooperation of local communities. The daily lives of local people residing in coastal areas are inseparable from the threats facing coral reefs. This is why conservation groups involved in coral reef conservation actively seek to involve local communities. However, those living in these areas possess diverse sets of values, and are also experiencing various challenges of their own. Not all residents necessarily take an enthusiastic stance toward coral reef conservation. Consequently, community-based coral reef conservation initiatives cannot be easily achieved. The author was hired as officer of the WWF Coral Reef Conservation and Research Center located in Shiraho village, Okinawa prefecture, Japan, in January 2004, and worked with the local people on various community development activities until March 2016. 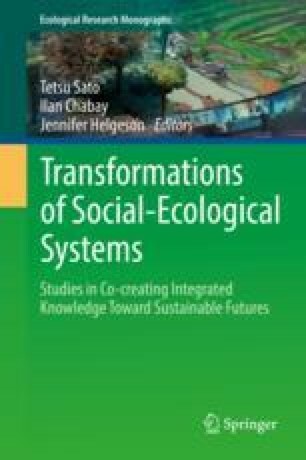 This chapter focuses on the processes of community development and coral reef conservation in Shiraho village since 2004, and describes the roles, challenges and potentials for individuals to become catalysts for community actions from the perspectives of a residential researcher involved in these activities.